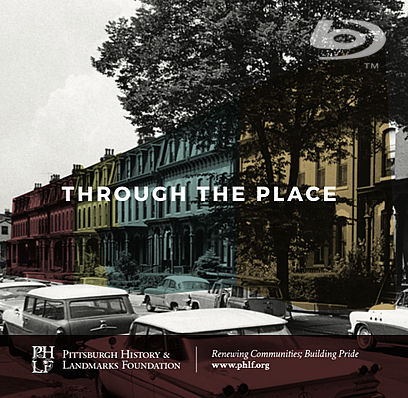 THROUGH THE PLACE tells the story of the Pittsburgh History & Landmarks Foundation (PHLF), one of the nation’s most innovative and effective nonprofit historic preservation organizations. Founded in 1964 by a group of citizens who passionately believed that preservation, rather than massive demolition, could be the key to achieving social, community, and economic renewal, PHLF has played a major role in the rejuvenation of Pittsburgh, Pennsylvania. Through the Place documents five decades of PHLF’s work and will inspire anyone interested in renewing historic neighborhoods and urban communities.